Hong Kong Disneyland is Fantastic!!! The park is wonderful. 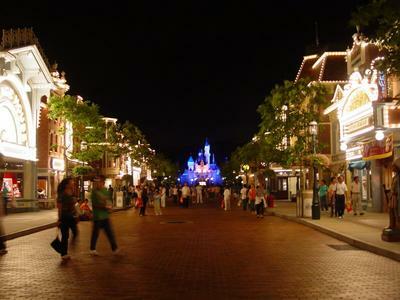 Main Street, U.S.A is explendorous and beautiful at night. The ligths of Disney in the Stars illuminated Main Street and this transforms it into a excelent place for the romance. Fantasyland, magic and wonderful, the best area for the little ones, and girls. Tomorrowland the best option for kids from 12 to 15. Space Mountain, fast and dark a excelent Roller Coaster and Autopia, a fun attraction, are the two greatest. Adventureland is the best zone for the teens. Jungle Cruise River is a very exiting attraction and the park view from Tarzan's Treeshouse is the best. Hong Kong Disneyland make the adults become children. Excelent!!! Comments for Hong Kong Disneyland is Fantastic!!! I'm an adult but I do love visiting Disneyland. It's where I felt being a kid again and I could have a magical experience. It's a good place to relax at the same time enjoy the rides, the moments and the beauty of the place! It's truly amazing!! Wow! What an Excellent View. I haven't see Disneyland yet at night, many thanks to you Gonzalo for sharing your very romantic Disneyland picture. I'm sure you've touched a lot of hearts upon seeing your lovely disney photo and they'll be more eager to visit Hong Kong Disneyland very soon.